Tampa Actor Headshot Photography photograph for actor Jinelsa Rosado by Tampa headshot photographer Chris Passinault. Tampa Photography Portfolio. Photography portfolio, design portfolio, and art portfolio. Tampa photography, design, and art services. Aurora PhotoArts Tampa Bay photography and design. Tampa Bay, Florida. 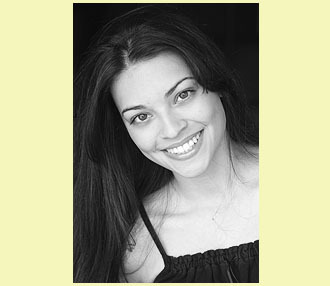 Pictured: Tampa Bay actor Jinelsa Rosado headshot photography photograph. Picture Description: Tampa actor headshot photograph of Tampa actor by Tampa actor headshot photographer Chris Passinault for Aurora PhotoArts Tampa Bay Photography and Design. Photograph by: Tampa photographer C. A. Passinault - Lead Photographer for Aurora PhotoArts Tampa Bay Photography and Design. A Tampa Bay model portfolio photography and actor / talent headshot company. Tampa Bay Photography Location: Photograph taken during a photography session in Tampa Bay, Florida. Photography Session Date: See copyright on photograph. Photograph is protected by copyright, and may not be used without the permission of Aurora PhotoArts Tampa Bay photography and design. Like what you see? We can do the same for you! Contact Us today for a free consultation and Tampa Bay's top photography value! This was a model portfolio photography and an actor headshot photography session. Please note that the opinions expressed in Tampa photographer Chris Passinault's Tampa Photography Blog and the photography session anecdotes/ notes above are those of the photographer and are not necessarily those of Aurora PhotoArts. Our photographers are among the best in the photography services industry, and they have a range of experiences and professional opinions. They are entitled to their opinion, and have earned the right to voice it as they see fit. Photograph: Tampa Bay actor headshot photograph, photographed by Tampa headshot photographer C. A. Passinault. Aurora PhotoArts Site V6.2. Venus Class Web Site by Eos MediaArts. Tampa Bay events by Eventi Events. Videos by Dream Nine Studios. Tampa advertising agency Eos MediaArts, Tampa event planning company Eventi Events, and Tampa production company Dream Nine Studios are Passinault.Com companies and are directly affiliated with Aurora PhotoArts Tampa Bay photography and design. A founding member of the Tampa Photography Society, a Tampa photography association of professional photographers - True integrity, trust, and quality among qualified professionals. © Copyright 1994-2012 Aurora PhotoArts Tampa Photography and Design. All rights reserved.